A perfect wedding dress is your girls’ priority for all, a lovely veil is also not a negligible factor. 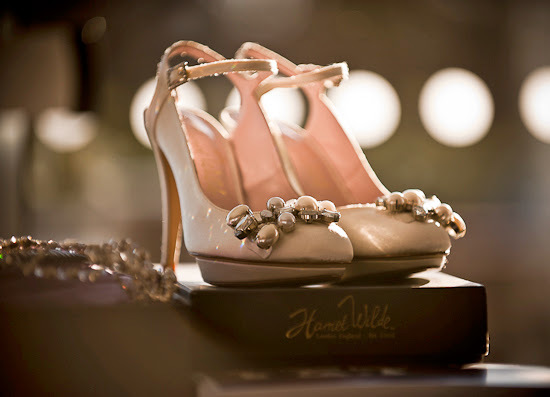 However, the right pair of bridal shoes can make it or break down a wedding day for a bride. Not only does the right shoe have to match the bride, and the dress, but it must be comfortable enough to wear throughout the wedding. Sure, desirable glances are great, but won't it be nice to look at your manicured and massaged tootsies and see them wrapped in divine shoes? So, learning how to select shoes to match with your wedding dress is not difficult when you follow the right steps below. 1. Take a look at your wedding gown and decide what type of combination you want to create. Because your own preference always goes first, an appreciative pair ones can make you a smiling day on your big day. 2. Color is an important factor. Most brides choose shoes in the same or similar color as their dresses, while some might prefer a contrasting or bolder color. If you choose wedding shoes in the same color as your gown, bring along your pick’s fabric when buying wedding shoes to make sure you choose the exact same tint. 3. Take it into account that how high you want the heels of your shoes to be, and how narrow the toes. 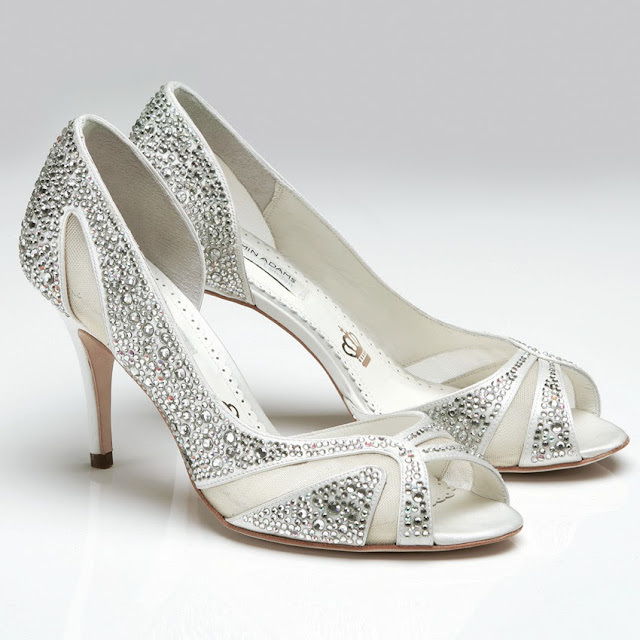 Be very careful not to buy shoes for your wedding that are too uncomfortable to wear for a long period of time, as you'll need them through the ceremony, the reception, and the wedding dinner or party. 4. If your wedding dress is a short dress or another mini dress that leaves part of your legs bare, your shoes become more of a focal point, so be sure to coordinate them properly with the dress. 5. If you find shoes that are the right style but not the right color, formal wear shops can usually dye them to match your dress or another color of your choice. 6. Research the latest trends. Search the Internet for up-to-date information on the latest trends in fashion. Look at bridal websites, wedding forums, and fashion blogs or magazine sites. 8. If you fall in love with a specific shoe, but know that it will eventually become uncomfortable, then consider a back-up pair that you can wear after the ceremony and picture taking session. 9. Note that shades of white and off-white can vary and be difficult to match, so either opt for a different color altogether, or consider dying your shoe to match exactly.